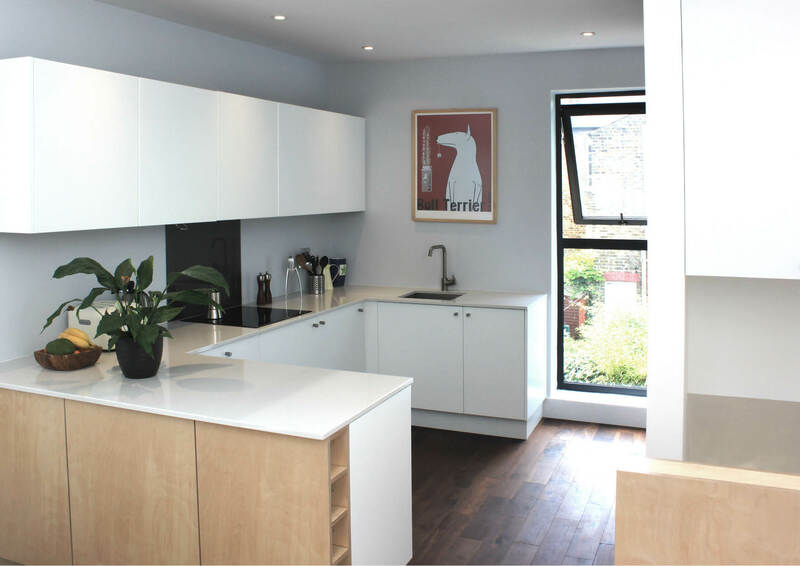 This project involved the full refurbishment and loft conversion of a small first floor maisonette to create a light and airy family home. Here the full potential of the property was realised by the careful use of space and light to create defined living zones and views. 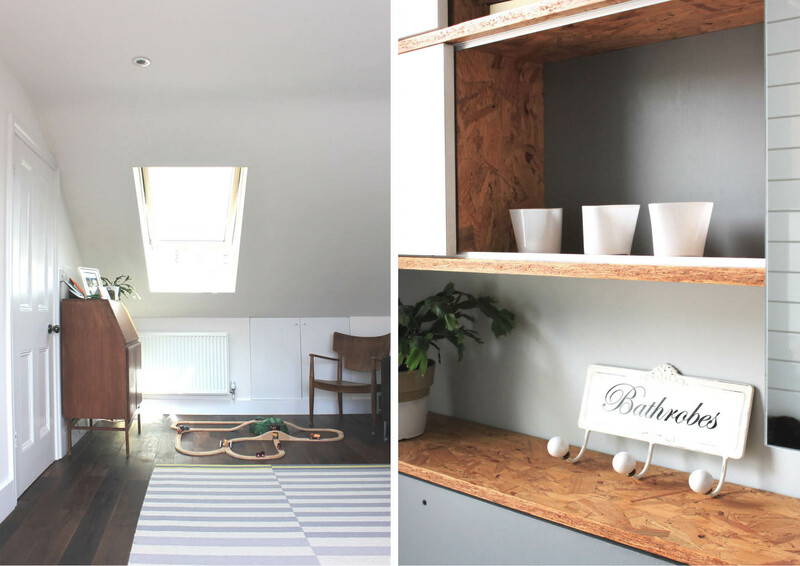 The existing ceiling in the rear part of the maisonette was removed to create a double-height space with roof windows flooding the space with natural light. 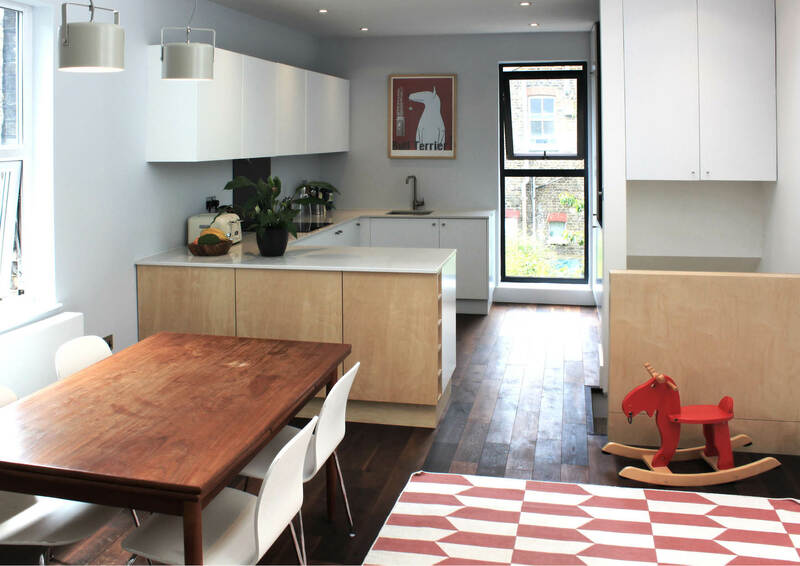 Dark oak floors combine with light walls and ceilings to maximise the sense of space. 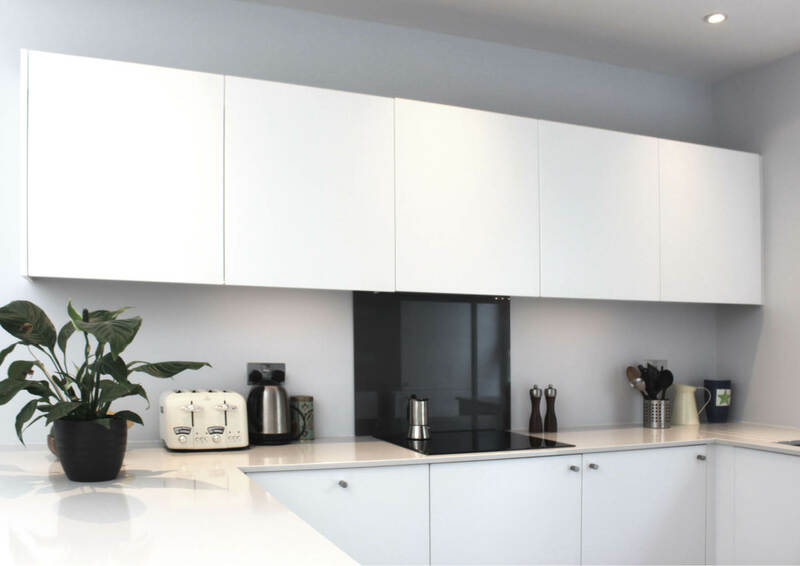 Bespoke joinery built in birch faced plywood and oriented strand board adds visual interest through tone and texture. Full-height and full-width sliding windows to the new loft room open onto a new Juliet balcony. Further external space was created by considering the rear garden as an 'outside room'.